The time has come to dress in your ghoulish best, bring out the fake blood and walk the streets begging for sweets. Halloween is upon us once again, so it’s only right that we channel our inner vampire and bust some ghosts with a helping hand from Lush. 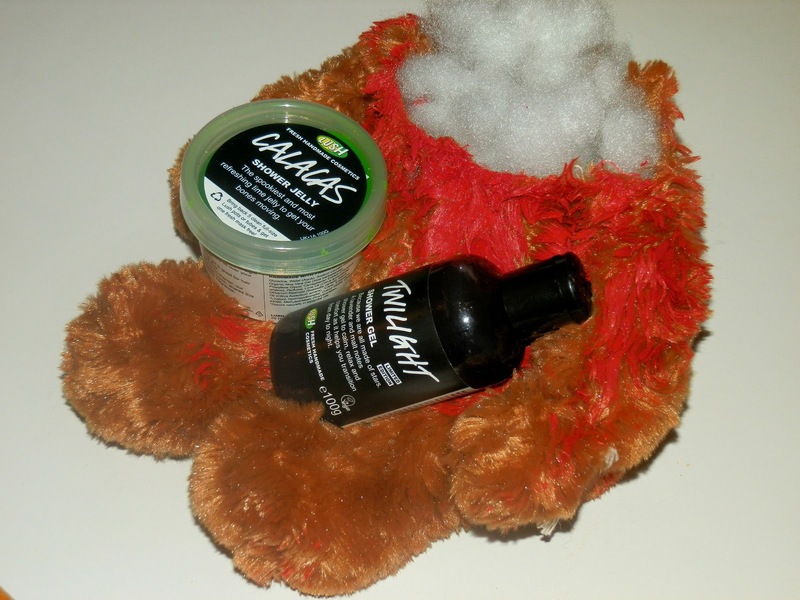 Every year they release some spooky products to enjoy and 2012 is no exception – headless ted would like to introduce you to Twilight shower gel and Calagas shower jelly. (Don’t ask why I have a decapitated teddy.) 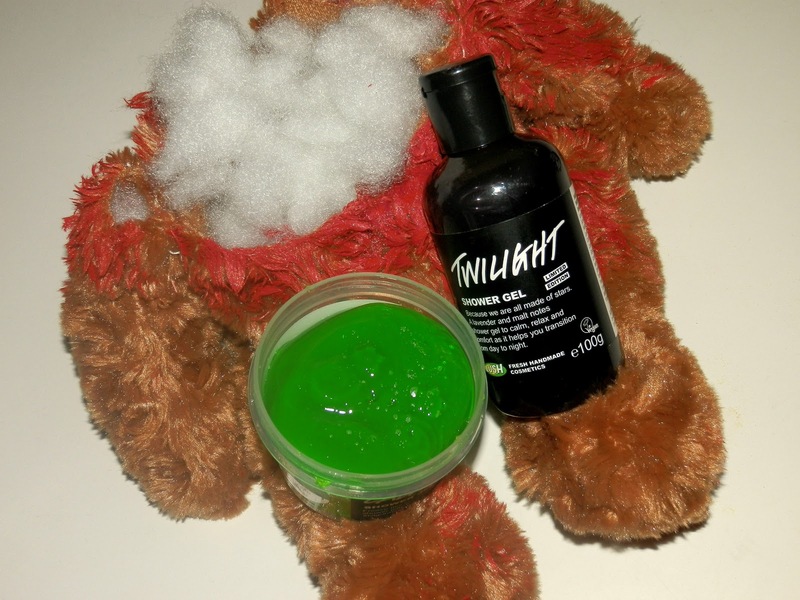 Twilight shower gel is perfect pre-snooze as it contains relaxing lavender and malt notes to help you drift off and relax; no trickery is needed here as the delicate purple gel helps you to lie back and enjoy the twinkly lights of the night… Just look out for Edward Cullen coming to bite you. The Calagas shower jelly may have a strange name, but its wibbly wobbly fun that Slimer from Ghostbusters would be proud of. It’s lime jelly bean scent is a little more aspirational than mould and snot, but you can have hours of fun chucking it at unwanted trick-or-treaters when you run out of Starburst. 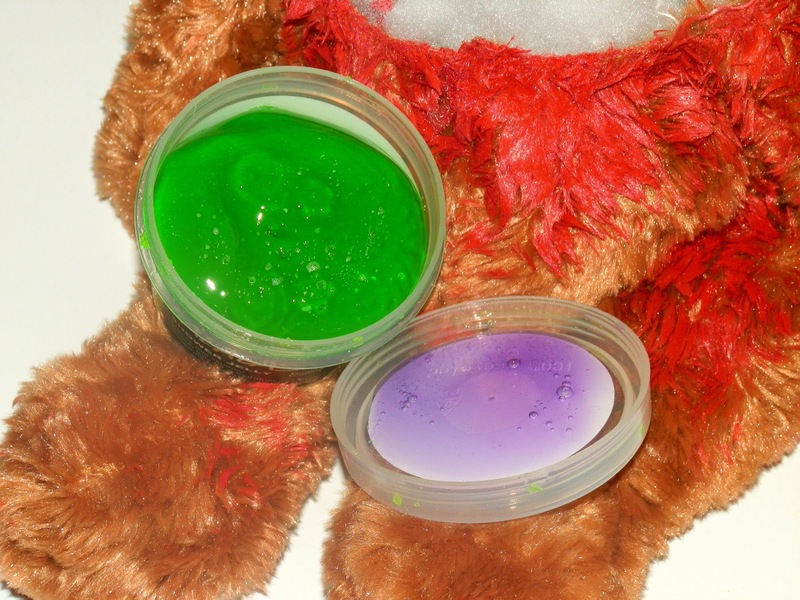 If anyone knocks on my door tomorrow night in search of sweet things, I probably won’t answer – I’ll be playing with slime and goo in the bath tub. Haha the teddy was a stolen prop from a Halloween party i went to – they had them all over the place hanging from the ceiling!